Do BioWare's Mass Effect and Dragon Age titles promote social rights in regards to race, gender, and sexuality? BioWare's Mass Effect and Dragon Age titles promote social rights in regards to race, gender, sexuality, and other minority groups. Mass Effect dealt complexly with the issue of racism. Mass Effect provided a significant amount of sexual freedom in-game. Mass Effect and Dragon Age are RPGs that have provided bi romance options during a period in which most games did not. Dragon Age's Krem is an openly trans character, which no other major RPG has done. The evolution of diversity within BioWare's games prove that the company strives to promote diversity and inclusiveness. 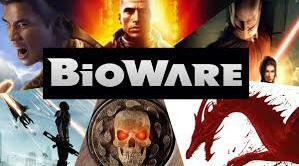 BioWare adds diversity in order to pander to different audiences. In many BioWare games, the characters are primarily men, despite its perceived diversity. There is no demonstrated connection between the social rights inside video games and changes in attitude about actual social rights by video game players. In many video games, characters that are social rights minorities can be killed over and over without consequence, making the seriousness of violence against them less impactful. In Mass Effect, the only races that you really meet women from are humans and the Asari, and the Asari is a solely female society. Characters are primarily white in most games, with a few token exceptions.